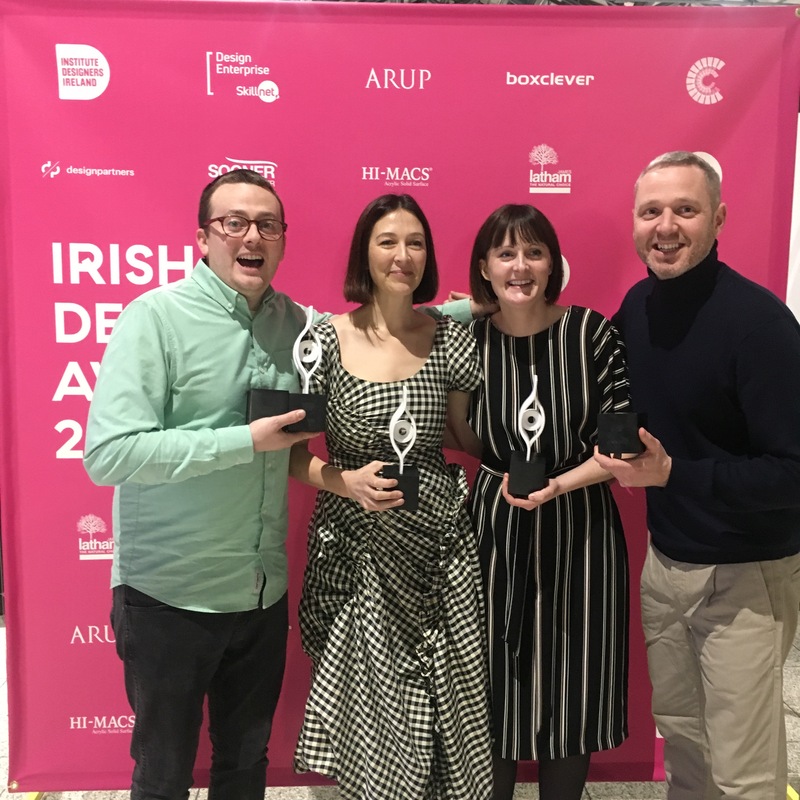 Members of staff at the National College of Art and Design (NCAD)’s School of Design have received three awards and two commendations at the Institute of Designers in Ireland IDI Irish Design Awards 2018, which took place at Dublin’s CHQ on 24th January. A key event in the Irish design calendar, the annual IDI Irish Design Awards recognise outstanding achievements of designers across Ireland and promote exemplary design vision in Ireland, putting a global spotlight on Irish design. Lecturer in Fashion Design, Natalie Coleman, who won the Clothing Design category for ‘AW18 – Guaranteed to Bleed’. Lecturer in Product Design, Emma Creighton, who won the Design Education & Research category for ‘Designing Learning’. Technical Assistant in Communication Design, Jamie Murphy, who won the Photography in Design category and received a commendation in the Typography in Design category for his project ‘Town’. In addition, NCAD’s Head of Department for Communication Design, J.P. Dowling received a commendation in the Collaborative Design category for ‘Reflections On’. Contact: Eleanor McGovern, DHR Communications. Tel: 01-4200580 / 0834890321. Email: eleanor@dhr.ie.